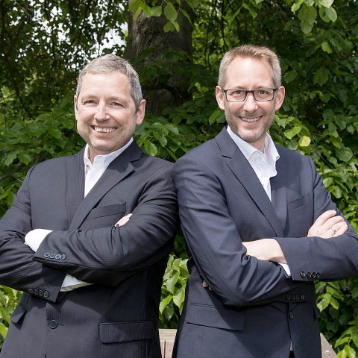 On July 1st in 2001 Udo Schmale and Holger Müller founded BlueSens gas sensor GmbH in Herten, Germany. Both founders are still managing directors of the company. More than 15 years ago the electrical engineer Udo and Holger, a chemist, decided to collaborate. During the 90s they did their PhDs on infrared-measurement technology at the Institute for Chemo- and Biosensors at the Westfälischen Wilhelms-Universität in Münster. For more than 20 years the inventive heads of the company have been working on the development, manufacturing and application of modern gas measurement technology. At an early date of their collaboration they realized the market potential of their smart measuring solution, decided to have it patented, and founded BlueSens gas sensor GmbH. From this very first start BlueSens focuses on the needs of the customer and emphasizes on a close relationship with customers. With their inventiveness, close customer contact, as well as their good sense for the market, important milestones were achieved and helped to build a solid foundation for the development of the company. The young company from Herten grew steadily and finally with more than 20 employees moved to their own company building at Snirgelskamp in 2012. Being on the market for over 15 years with thousands of sensors sold worldwide, BlueSens quickly established itself as the off gas specialist for bioprocess optimization. As well as selling directly to endusers, the company supplies the TOP 10 fermenter manufacturers with their sensor technology. In addition to their products for bioprocess optimization, our extensive product portfolio is rounded off by products for biogas applications and software. In 2015 the American subsidiary BlueSens Corporation was founded in Chicago, Illinois. Combining an ideal composition of expertise, experience and innovation strength with continuous feedback of the customers BlueSens is looking in a promising future.